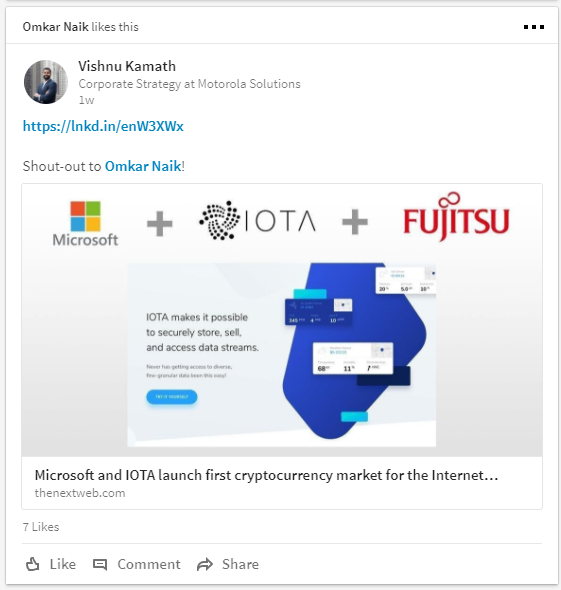 On November 28 news began to circulate that IOTA has officially partnered with companies such as Microsoft, Cisco, Samsung, Fujitsu, and Volkswagon in a 2-month long demo to promote data openness. That Sunday the price and volume of IOTA surged. The volume, in fact, was way above normal, which set off an immediate red flag of an imminent pump and dump. I checked Volkswagon’s websites and could not find anything. Also waiting to hear back from them. Here is the MIT article disclosing this experience. It is important to note that bug in the code no longer exists. The cryptocurrency realm is an extremely adventurous and dangerous terrain where fortunes can be made or lost. As IOTA clearly demonstrates, always do your due diligence before investing. Previous articleWhat type of decision-maker are you? Next articleAre you making money blogging yet?